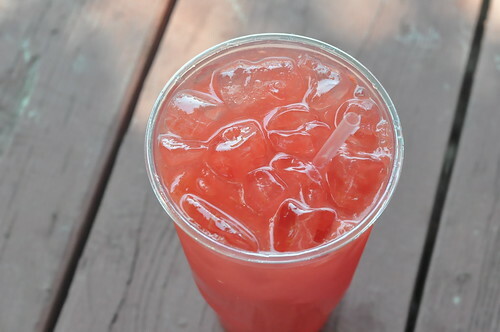 This blended watermelon drink from the Red Hook ball fields, is incredibly refreshing. I feel cooler just looking at the photo. It also holds its liquor well. Mmm...watermelon and rum. What do you drink when it's beastly hot? Vendys 2012: Can We Pick 'Em or Can We Pick Em? I'm Going to Pig Island. Are You? Ice Cream Sandwiches at Milk & Cookies! It's National Ice Cream Sandwich Day!